As many of you know, it can be hard to figure out what the best apps are these days for subscribing to and downloading podcasts. The great news is, there are LOADS of great solutions. Below are our favorites. 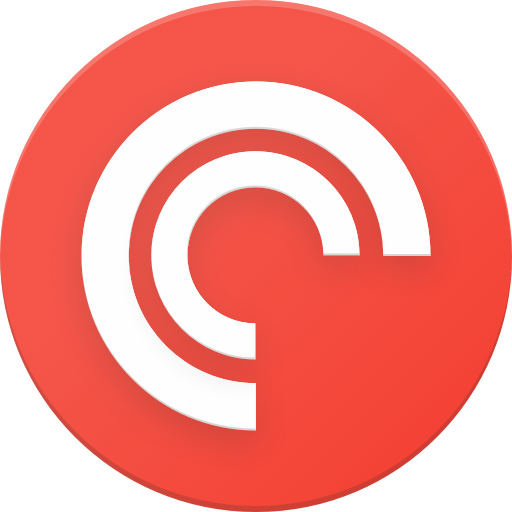 Pocket Casts is simply the most supported and updated client we've used. Managing your shows, downloads, and syncing between platforms is incredibly easy with this app. Lots of customization and a multiplatform focus makes them a great pick. They also stick with standards and we've yet to have a feed not work on this platform. Totally worth the price. This app moves from 1st to 2nd place on a regular basis. It can sometimes be sublime, and other times be frustrating for no reason. It also has a weird pay model these days. But in terms of features and functions, it's among the best and a great recommendation if Pocket Casts isn't your speed. (Speaking of which, Overcast is famous for letting you mess around with audio speeds. It's...interesting.) Big downside? No Android version of the app...yet. Cost: Ad supported, with option to pay annual fee to remove ads and add some features. Another great app for iOS users, with no Android version in sight, but it makes our list because of it's great features and straight forward buying plan. All the features you would expect are here, and they've been at this for a long time. Good update cycle as well. Really wish they had an Android version as well. Great price is another reason to like them. Looking for more Android options? Try this link!